Although racing is Croft’s primary motorsport discipline, I had previously only managed to witness Rallying and Rally-Cross at the North Yorkshire venue. Racing at Croft had long been on my agenda though and the opening day of the Croft Nostalgia Festival would fit nicely into my 2017 plans. 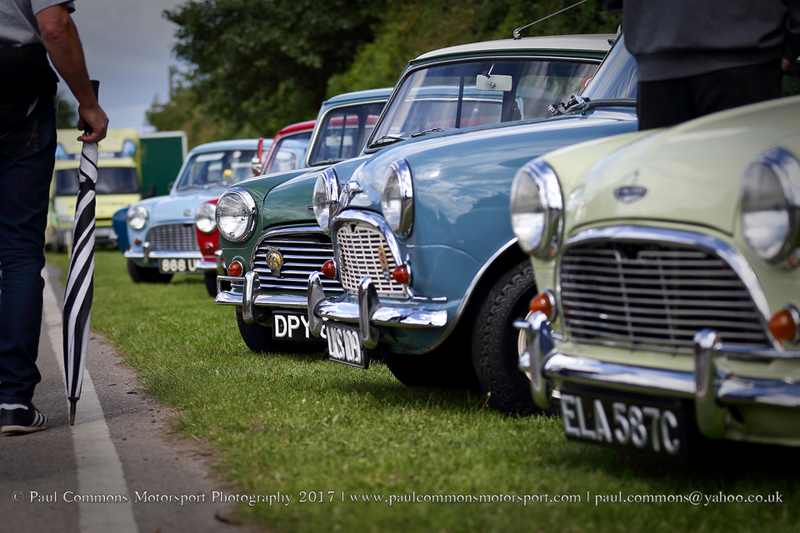 Now in it’s 8th year this event definitely has more of a festival feel than other fixtures on the HSCC calendar, with many a military, aerospace and general motoring related display on offer to compliment the usual array of car clubs. Not to mention the large groups of people attending in period dress. 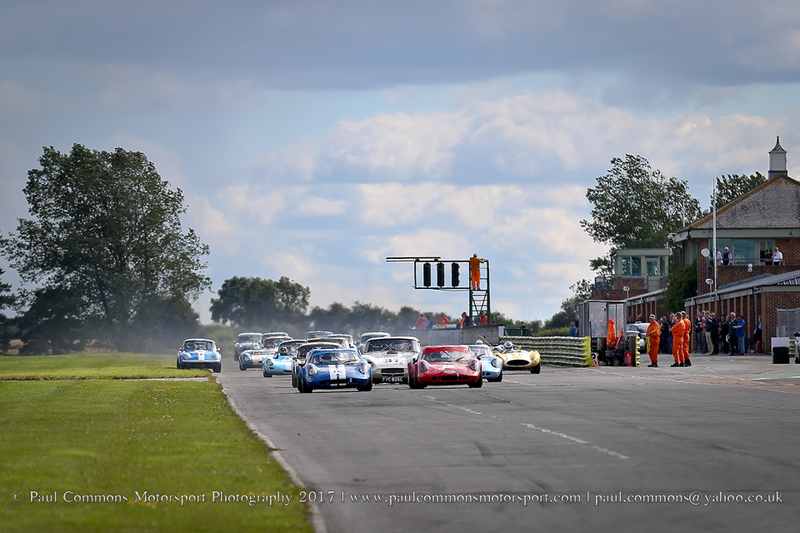 It is the on track action that essentially drew me in however and in particular the 60’s Sports Prototypes and GT machinery taking part in the 40 minute Guards Trophy race. Qualifying had seen 2 Chevron B8s in the hands of Phillip Nelson and Charles Allison top the time sheets and the race for outright victory would soon develop into a great battle between the front row starters. Running second in the early stages, Allison is already a double Guards Trophy winner in 2017 and by lap 4 he was again at the head of the field. Any thoughts he had of disappearing into the distance were soon dispelled however as the Chichester man could not break away. Nelson was well on the pace at Croft and the pole sitter remarkably re-took the lead with an excellent move down the inside at Clervoux on lap 8. But much like Allison earlier, Nelson was unable to shake off his rival; Allison remaining in his wheel tracks before making his mandatory pitstop on lap 14. And it would be this early pitstop that proved decisive as Nelson emerged from pit lane 2 laps later in second position. A slow lap 21 was then the final blow for the chasing Chevron pilot, thus gifting Allison the cushion he required to, in the end, take a comfortable third victory of the season. The GT battle also proved highly competitive, however, no one could quite match the pace of Mike Gardiner and Dan Cox in the TVR Griffith. Indeed, had it not been for Ben Mitchell’s excellent recovery drive in the Elva MK7S, an overall podium may well have been on the cards. 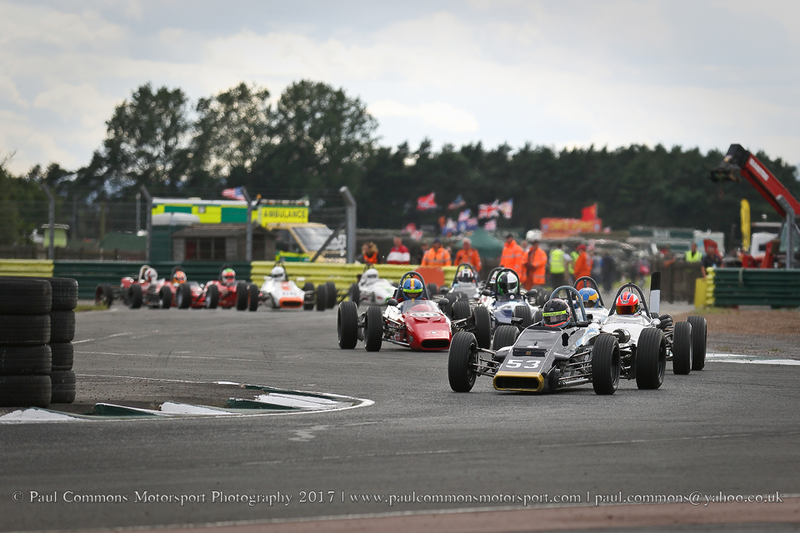 The Historic Formula Ford action has been brilliant in it’s 50th anniversary year and that trend most definitely followed suit at Croft. In the earlier qualifying race, Max Bartell had taken victory from Sam Mitchell, rewarding them with a respective 7th and 8th on the championship race grid. However, neither were a match for Callum Grant, Michael O’Brien and Richard Tarling as the trio headed by pole sitter and 2016 champion Grant edged away from the field. Grant would in fact maintain top spot for much of the early running before O’Brien eventually managed to sneak passed at Tower on lap 5. But, as is the nature of Formula Ford racing, O’Brien would not maintain the lead for long; with he and Grant appearing to take it in turns to top the time sheets over the coming laps. Meanwhile, Tarling appeared happy to sit in third. Up until lap 9 that is when he stole 2nd from O’Brien; a move which put the Henley on Thames driver in pole position for victory when Grant was forced off track at Sunny-in following an altercation with a back marker. And having survived the chaos, Richard Tarling now found himself in the lead of the race with just over 1 lap to run; the Janum T2 pilot defending well to record a quite brilliant second victory of the season from the chasing Merlyn of Michael O’Brien. A wide variety of machinery had turned out for the Historic Touring Car race where the Ford Cortina proved to be the car to beat. 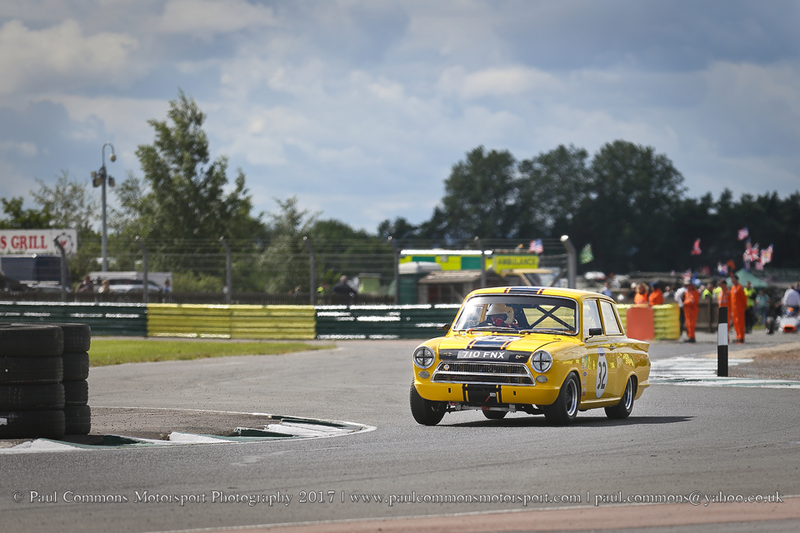 Surprisingly however it was the Class B, out of period, 2 litre machine of Richard Belcher who took pole position from the more conventional class C Lotus Cortina of James Clarke. And once Clarke was forced into retirement on lap 3, there was only ever going to be one winner as neither the Mustang of Peter Halford or the Falcon of Jack Drury had the pace to challenge. And so whilst Belcher went on to record the most unlikely of victories, the championship battle roared on behind. It would however be Halford who grabbed the all important maximum class K1 points with Drury struggling with setup at the North Yorkshire venue. Towcester man Jon Milicevic is usually the man to beat in Historic F3 and whilst he would eventually take the category top spot with 4th overall the final result masks the story of the race. In fact Milicevic, in his Brabham BT21B, was involved in an almighty battle with the Merlyn MK14A of Jonathon Hughes in the early stages; the pair swapping positions on more than one occasion before Hughes disappointingly fell out of contention with a spin at the chicane on lap 8. Upfront meanwhile, Julian Stokes, in his Techno F2 machine, claimed overall victory in the combined Classic Racing Car/Historic F3 race. But having built a large lead at the start was almost caught by a fast charging Nick Pancisi in his March 712 Atlantic. 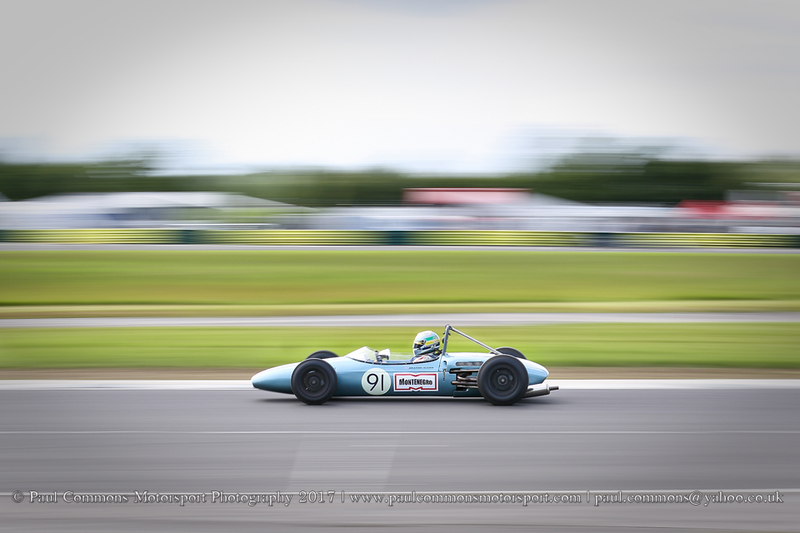 The Formula Junior entry may not have boasted the same level of entry as the Historic Formula Ford event, however, it did feature a, Formula Ford like mid-race duel. Following a short safety car intervention, pole sitter and early leader Benn Tilley came under attack from Jonathon Hughes. Where, fresh from a starring performance in the Historic F3 event, the local man managed to squeeze his Brabham BT6 into the lead at Tower on lap 7. But whilst Hughes would fall back behind Tilley before the lap was out, he would be back in front before the end of the next, with Tilley this time not able to respond; Hughes instead managing to maintain the lead over the remaining laps and record victory by just over half a second. A longer safety car period in the combined Historic/70s Road Sports race would unfortunately ruin the race as a spectacle. 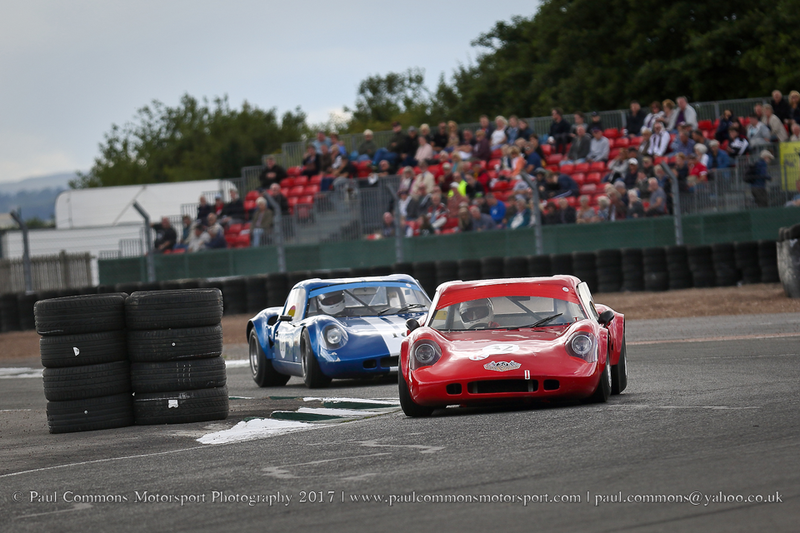 It was however relatively surprising to see the Historic machines hold an advantage over their younger counterparts, with John Davison leading home a Lotus Elan 1-2. Meanwhile Charles Barter just about claimed the 70s Road Sport victory with third overall; The Datsun 240z pilot out-dragging the Lotus Europa of Will Leverett having initially looked to have lost the position at the final hairpin. 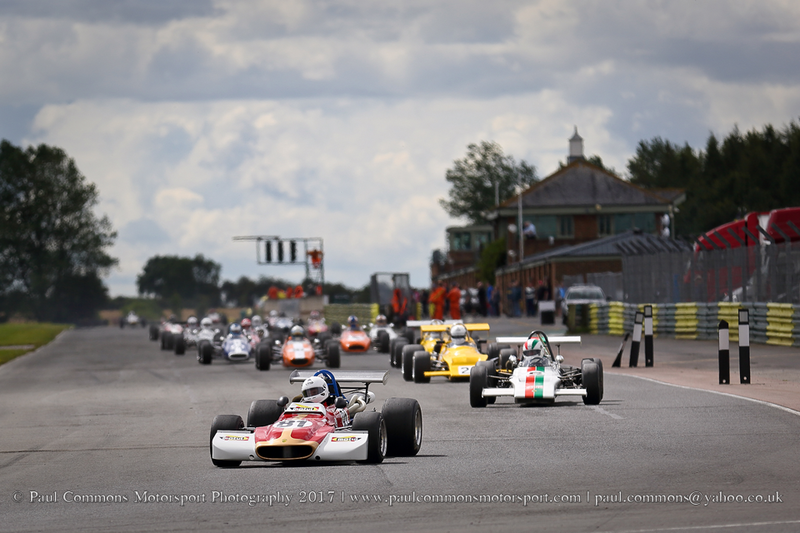 Sunday’s highlights included a first championship victory of the season for Michael O’Brien in Historic Formula Ford and a return to form of Jack Drury in the second Historic Touring Car race. Meanwhile Andrew Park and Mark Charteris claimed double wins in the respective Historic Formula Ford 2000 and Classic Clubmans events, whilst Jonathon Hughes, Jon Milicevic, Julian Stokes, John Davison and Charles Barter also claimed a second victory of the weekend. This had been another thoroughly enjoyable day out following the HSCC brigade and for an admission price of just £14 it represented great value for money. With this in mind I am already looking forward to my next slice of HSCC action; the Oulton Park Gold Cup at the end of August.